You will need a React Native development environment, Docker and Docker Compose installed on your machine. This tutorial assumes you know how to install and configure these on your own system. You will need experience with React Native and Docker. 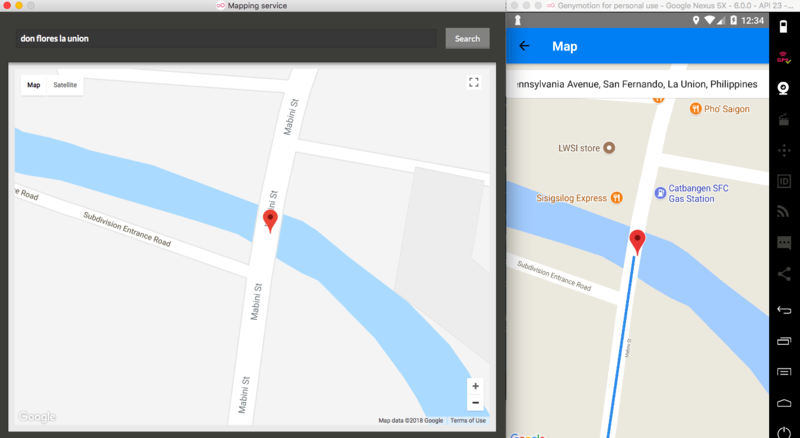 In this series, we’re going to create a carpooling app with React Native. This will be a two-part series showing you how to create a full-stack React Native app which uses PHP as the backend. The first part covers setting up the backend, while the second part will cover building the frontend and running the app. The main idea of the above apps is to provide a ride-hailing service to users. This is traditionally called “Ridesharing”. 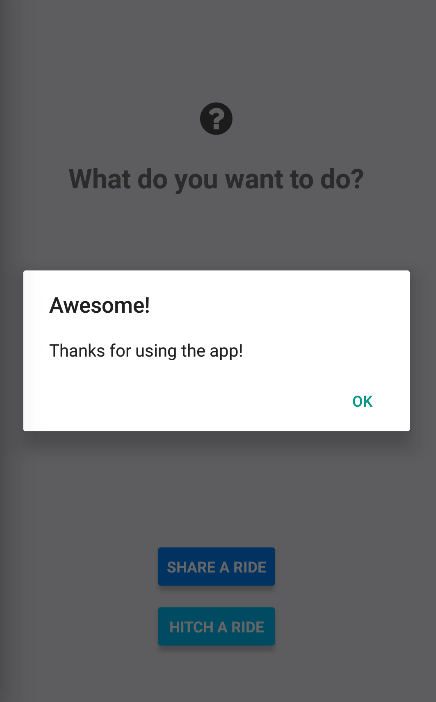 The main idea of the above apps is for users to share their ride with people who are going the same route as them. This is traditionally called “Carpooling”. React Native development environment - the series assumes that you already have set up all the software needed to create and run React Native apps. The series will show you how to create the app for both Android and iOS devices. We will use the react-native init command to create a React Native project. You can either have both Android Studio and Xcode set up on your machine or just one of them. Additionally, you can set up Genymotion so you can easily change your in-app location. Be sure to check out the setup instructions if you haven’t setup your machine already. Docker and Docker Compose - the series assumes that you already have Docker and Docker Compose running on your machine. We will be using those to easily setup a server with all the software that we need. This also assures that we both have the same environment. Git - used for cloning repos. Knowing the basics of creating a React Native app is required. This means you have to know how to run the app on an emulator or your device. You should also have a good grasp of basic React concepts such as props, refs, state, and the component lifecycle. Knowledge of Docker is required. You should know how to setup Docker on your operating system and setup a containers from scratch. Note that Docker has poor support for Windows 7 and 8. So if you’re using any of those systems, you might have difficulty in following this tutorial. Lastly, the tutorial assumes that you know your way around the operating system that you’re using. Knowing how to install new software, execute commands in the terminal is required. 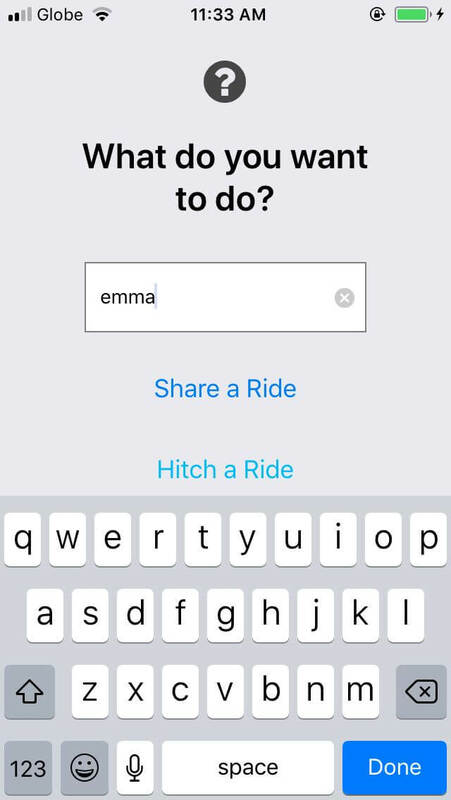 sharing - this allows the user to share their ride so that others can make a request to ride with them. For the rest of the series, I’ll be referring to the users who uses this feature as the “rider”. 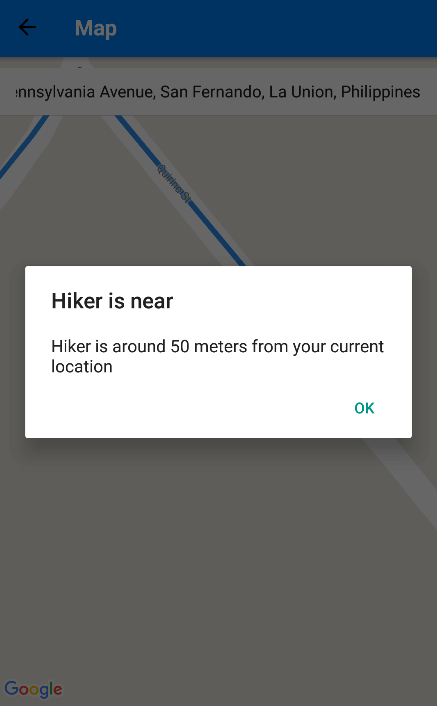 hiking - this allows the user to make a request to ride with someone. I’ll be referring to these users as “hikers”. I can simply click around the map so that React Native’s Geolocation is triggered. This then allows me to use Pusher Channels to send a message to the hiker so that they’re informed of the rider’s current location. If the rider wants to pick another place, they can click on the Reset button. This will empty the text field for entering the place as well as remove the markers and the route from the map. 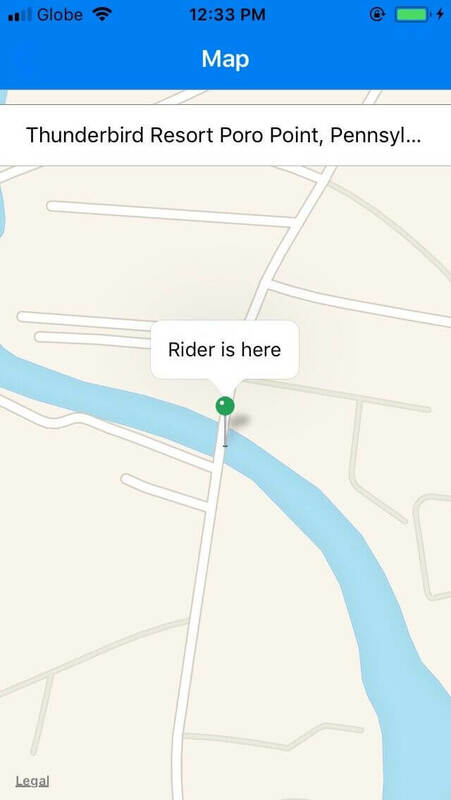 At this point, the rider clicks on the Share Ride button. This triggers a request to the server which then saves all the relevant data to an Elasticsearch index. This allows hikers to search for them later on. Elasticsearch - for saving and searching for routes. Pusher Channels - for establishing realtime communication between the rider and the hiker so they are kept updated where each other is. PHP - for saving and searching documents from the Elasticsearch index. 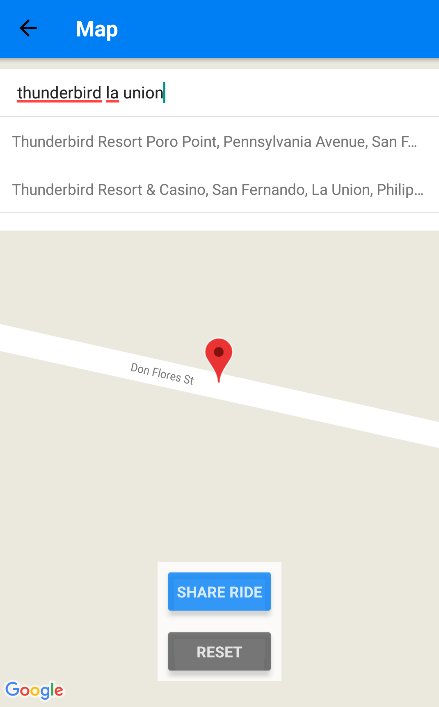 Google Maps - for showing maps inside the app. 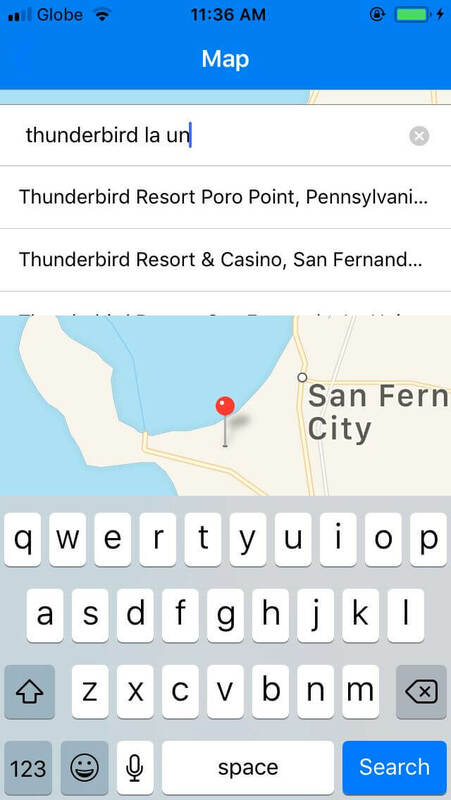 Google Places Autocomplete - for searching for places. Google Directions API - for getting the directions between the origin and the destination of the riders and hikers. 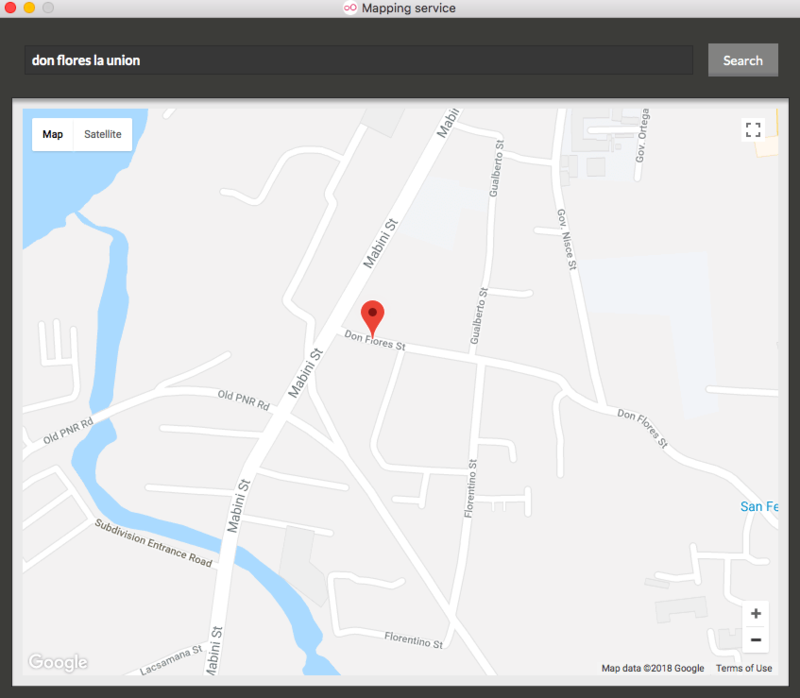 Geometry Library Google Maps API V3 - for determining whether a specific coordinate lies within a set of coordinates. The full source code of the app is available on this Github repo. 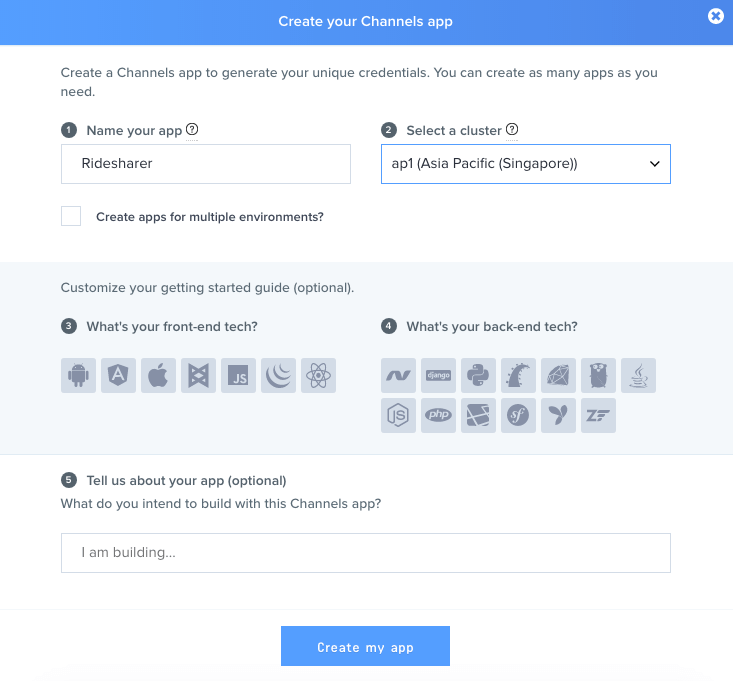 We’ll need to create a Pusher app to use Pusher Channels. Start by creating a Pusher account if you haven’t done so already. This will allow us to trigger events right from the app itself. That way, the only thing that we need to do on the server is to authenticate requests. Don’t forget to click on Update once you’re done. The API keys which we’ll be using later are on the App keys tab. This requires us to create a Google project at console.developers.google.com so we can use those services. 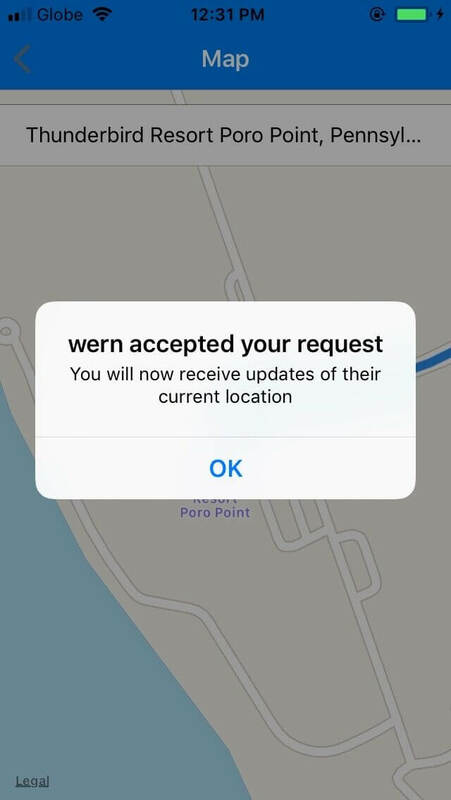 Maps SDK for iOS - note that if you don’t enable this, and followed the installation instructions for iOS, Apple Maps will be used instead. That will generate an API key which allows you to use the services mentioned above. Take note of the key as we will be using it later. You can choose to restrict access so not just anybody can use your key once they get access to it. To avoid problems while developing the app, I recommend to just leave it for now. Laradock is a full PHP development environment for Docker. It allows us to easily set up the development server. Go through the following steps to setup Laradock. Note that in the above command we’re cloning a specific release tag (v7.0.0). This is to make sure we’re both using the same version of Laradock. This helps you avoid issues that has to do with different configuration and software versions installed by Laradock. You can choose to clone the most recent version, but you’ll have to handle the compatibility issues on your own. The code above tells Apache to serve the files inside the /var/www/ridesharer directory when http://ridesharer.loc is accessed on the browser. If the directory has index.php file in it, then it will get served by default (if the filename is not specified). This means that /var/www/ridesharer is equivalent to /laradock-projects/ridesharer. This is why we’ve created a ridesharer folder inside the laradock-projects directory earlier. Which means that any file you create inside the ridesharer folder will get served. This tells the browser to not go looking anywhere else on the internet when http://ridesharer.loc is accessed. Instead, it will just look in the localhost. This disables the need to authenticate when connecting to Elasticsearch. You can choose to enable it later so that not just anyone can have access to the Elasticsearch index. But to avoid problems with authentication while we’re developing, we’ll disable it for now. This will install and setup Apache, PHP, and Elasticsearch on the container. There’s also a workspace so you can log in to the container. This allows you to install packages using Composer. This process should take a while depending on your internet connection. If you’re having problems completing this step, it is most likely a port issue. That is, another process is already using the port that the containers wants to use. It’s a good practice to comment out the default config so you know which one’s you’re replacing. If the issue you’re having isn’t a port issue, then you can visit Laradock’s issues page and search for the issue you’re having. geometry-library - as mentioned earlier, this allows us to determine whether a specific coordinate lies within a set of coordinates. 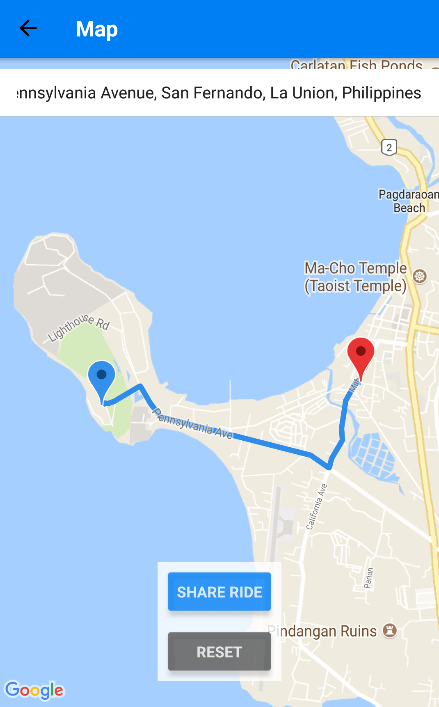 We will be using this library to determine if the directions returned by the Google Directions API covers the hiker’s pick-up location (origin). elasticsearch - this library allows us to query the Elasticsearch index so we can add, search, update, or delete documents. pusher-php-server - this is the official Pusher PHP library for communicating with Pusher’s server. We will be using it to authenticate requests coming from the app. vlucas/phpdotenv - for loading environment variables from .env files. The .env file is where we put the Elasticsearch, Google, and Pusher config. This file is where you will put the keys and configuration options that we will be using for the server. 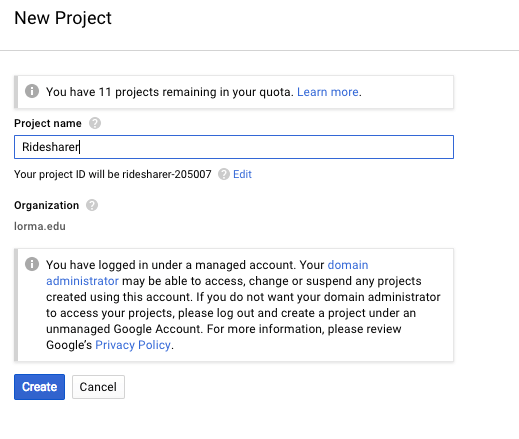 Since the majority of the files we will be creating will use either the configuration from the .env file or connect to the Elasticsearch server, we will be using this file to do those task for us. That way, we simply need to include this file on each of the files instead of repeating the same code. Since we will be working with coordinates in this app, we need to tell Elasticsearch which of the fields we will be using are coordinates. That way, we can query them later using functions which are specifically created to query geo-point data. This is done through a process called Mapping. For the actual type mapping, we only need to specify two properties: _source and properties. _source allows us to specify whether to enable returning of the source when getting documents. In Elasticsearch, the _source contains the fields (and their values) that we’ve indexed. 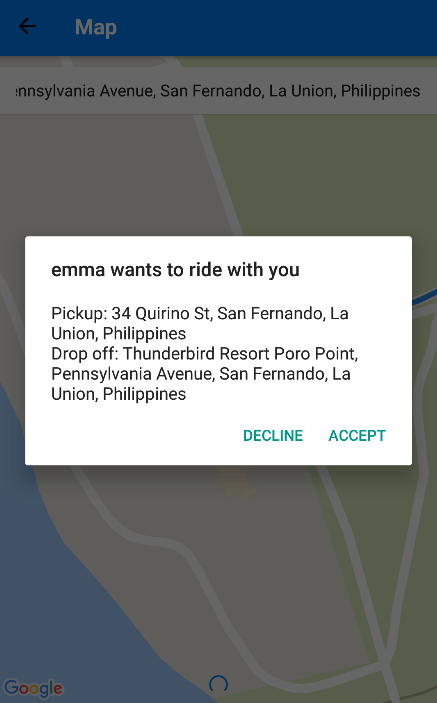 Access http://ridesharer.loc/set-map.php on your browser and it should print out a success response. Note that if you have another local development environment that’s currently running, it might be the one that takes priority instead of Laradock. So be sure to disable them if you can’t access the URL above. When someone uses the app, they need to login first. If the username they used doesn’t already exist then it’s created. Construct the parameters to be supplied to Elasticsearch. This includes the index and the type. You can think of the type as the table or collection that you want to query. 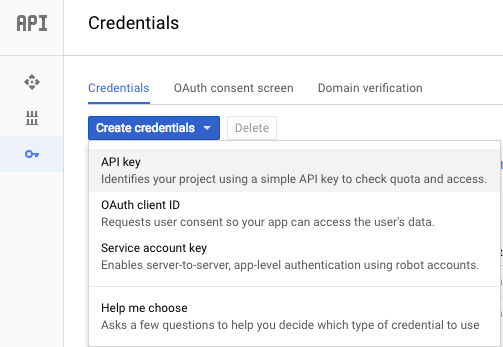 Make a request to the Google Directions API using the file_get_contents() function. The directions endpoint expects the origin and destination to be passed as a query parameter. These two contains the latitude and longitude value pairs (separated by a comma). We simply pass the values supplied from the app. Next, we construct the query to be sent to Elasticsearch. Here we use a d``ecay function called gauss to assign a score to each of the routes that are currently saved in the index. This score is then used to determine the order in which the results are returned, or whether they will be returned at all. If you want to know more about how the function works, check this article out: The Closer, The Better. An array containing the latitude and longitude of the coordinate we want to check. An array of arrays containing the latitude and longitude of each of the steps. The tolerance value in degrees. 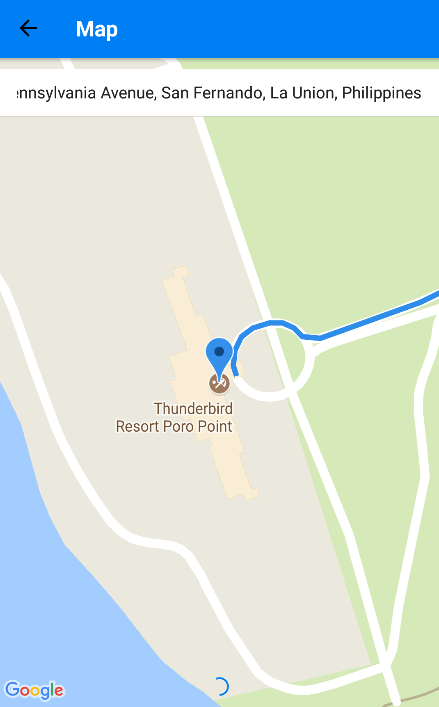 This is useful if the place specified isn’t near a road. Here, I’ve used a high value to cover for most cases. As long as the hiker’s origin is somewhat near to a road, then it should be fine. $hikers_origin - the coordinates of the hiker’s origin. $hikers_dest - the coordinates of the hiker’s destination. $riders_origin - the coordinates of the rider’s origin. $riders_destination - the coordinates of the rider’s destination. $hikers_steps - an array containing the hiker’s steps. $riders_steps - an array containing the rider’s steps. The tracking starts once the rider picks up the hiker. So we measure the distance between the hiker’s origin and their destination, as well as the hiker’s origin and the rider’s destination. This then allows us to determine who will leave the vehicle last by comparing the distance between the two. As you can see, we didn’t really apply any form of authentication in the code above. In a real-world scenario, you want to have some form of authentication before returning the success token. This can be a unique ID that’s only assigned to the users of your app, it can also be a key which is then decrypted to come up with a token used for authenticating the request. This unique ID or key is sent from the client side so the server can verify it. You can test if the server is working by accessing any of the files you created earlier. 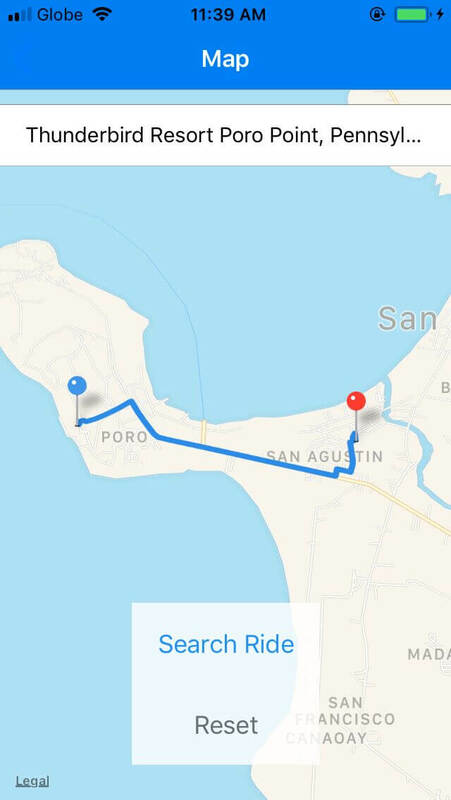 So that you can access the virtual host http://ridesharer.loc from the app, you need to setup ngrok. This allows you to expose your virtual host to the internet. Sign up for an ngrok account. Go to your dashboard and download ngrok. Copy the HTTPS URL as that’s what we’re going to use in the app later on. That’s it! In this tutorial, we’ve set up the server to be used by the app. You can find the code used in this tutorial on this Github repo. In the second part of this series, we’ll be covering how to create the frontend of the app.